Enter Disney Princess™ Ariel’s secret cave and discover all the treasures she has found under the sea! Hang out with Flounder and play among the rocks. Visit the sea witch Ursula in her grotto—will Ariel sign the contract and trade her voice for human legs and the chance to live above the water? Use the revolving stand to transform Ariel from a mermaid to a human and walk on her legs for the first time. 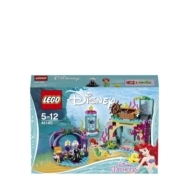 - Includes 2 mini-doll figures from Disney’s The Little Mermaid: Ursula and Ariel with switchable mermaid tail or legs, plus a Flounder figure. 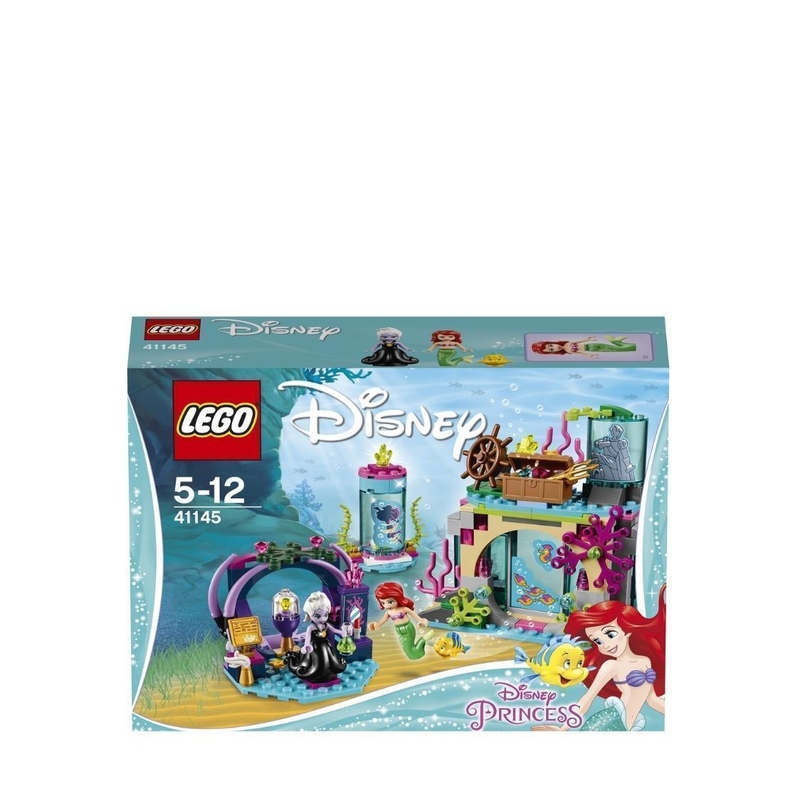 - Features Ariel’s Cave, Ursula’s grotto and a revolving stand to reveal Ariel’s human legs. - Ariel’s cave features a sliding door function, vanity, clamshell seat, hideout for Flounder, treasure chest and a ship's wheel. - Ursula's grotto features a buildable crystal globe to contain Ariel's voice. - Accessory elements include a trident, coins, crystals, cookie, golden cup, potion bottles, lipstick, Ursula’s necklace, Ursula’s contract and a quill. - Relive key moments from Disney’s The Little Mermaid or create new stories of your own with these iconic characters. 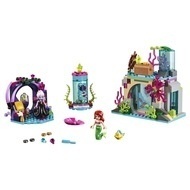 - Hang out at Ariel’s cave, trying out new looks at the vanity or playing amongst the treasure with Flounder. - Will the sea witch Ursula manage to persuade Ariel to sign the contract? - Turn the revolving stand and swap Ariel's mermaid tail for legs. - Ariel's cave measures over 5” (13cm) high, 5” (13cm) wide and 3” (9cm) deep. - Ursula’s grotto measures over 3” (8cm) high, 3” (8cm) wide and 3” (9cm) deep. - Revolving stand measures over 3” (9cm) high, 2” (7cm) wide and 1” (4cm) deep.